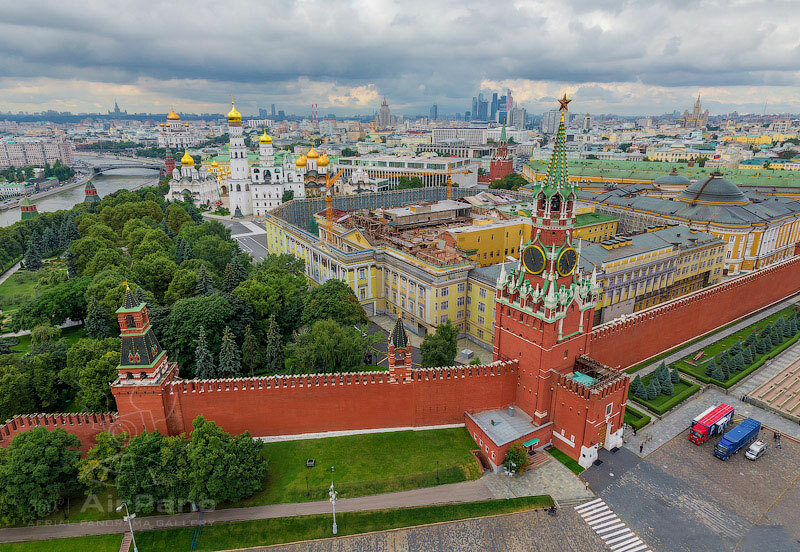 Red Square in Moscow – a favorite place in the capital not only for guests, but also Muscovites. It is the symbol of the city, its heart. It reflects the whole history of Russia. In 1493, according to the decree of Ivan III , all the wooden buildings around the Kremlin were removed to prevent fires. The area was called Red, which meant beautiful. After the revolution of 1917 the name of the square was associated with the victory of the “reds”, and the Red Square and the Kremlin became symbols of the revolution. In 1924 Lenin built the Mausoleum here. Since 1918, parades and demonstrations of workers and soldiers have been held here. From here the soldiers left in 1941 for the front line, and in 1945 the Victory Parade passed here.